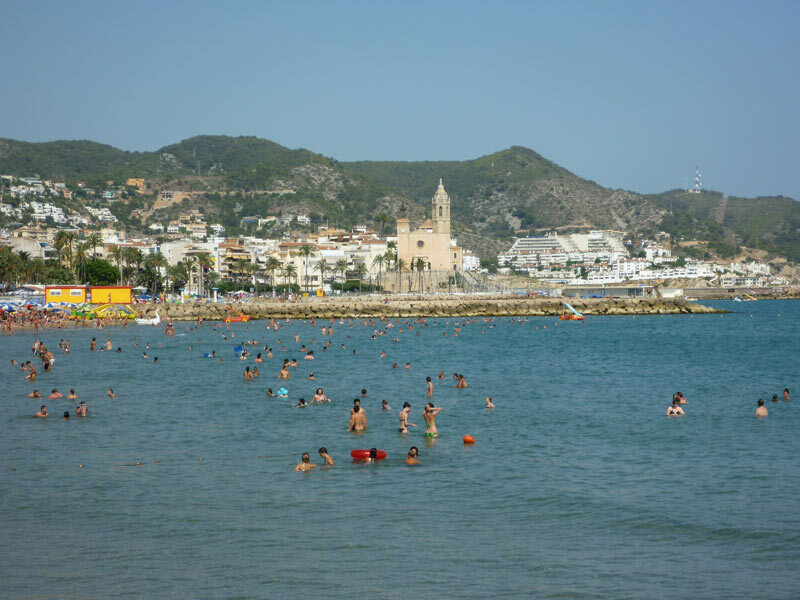 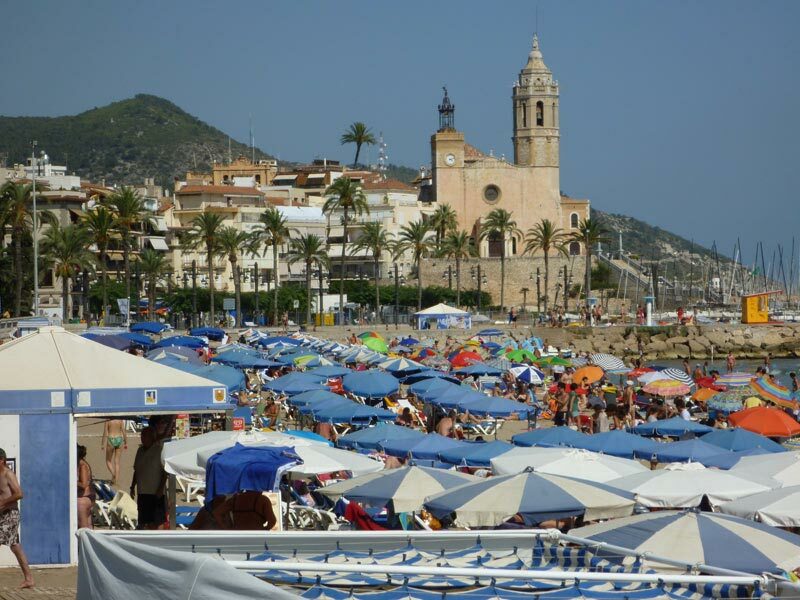 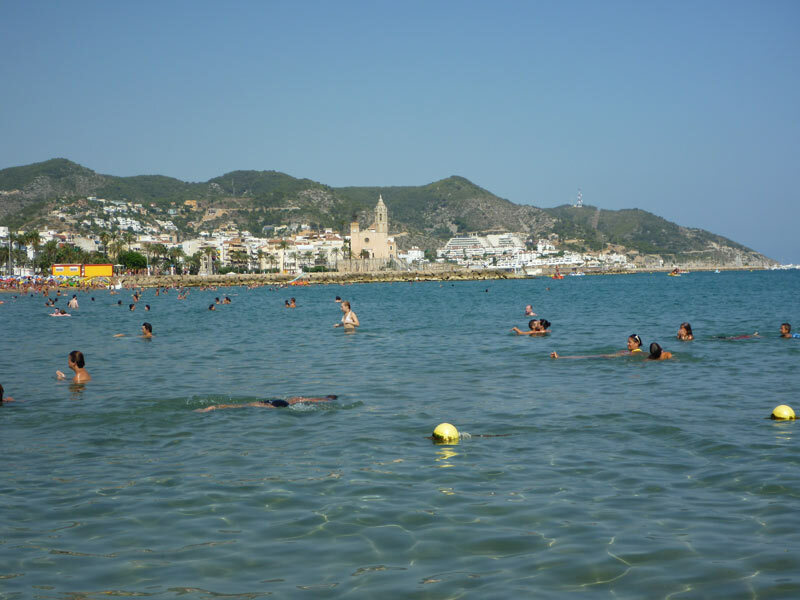 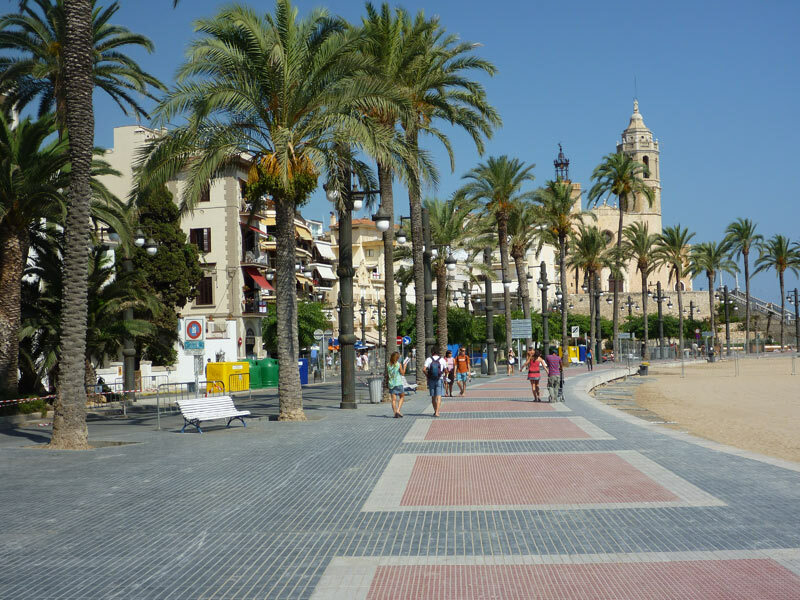 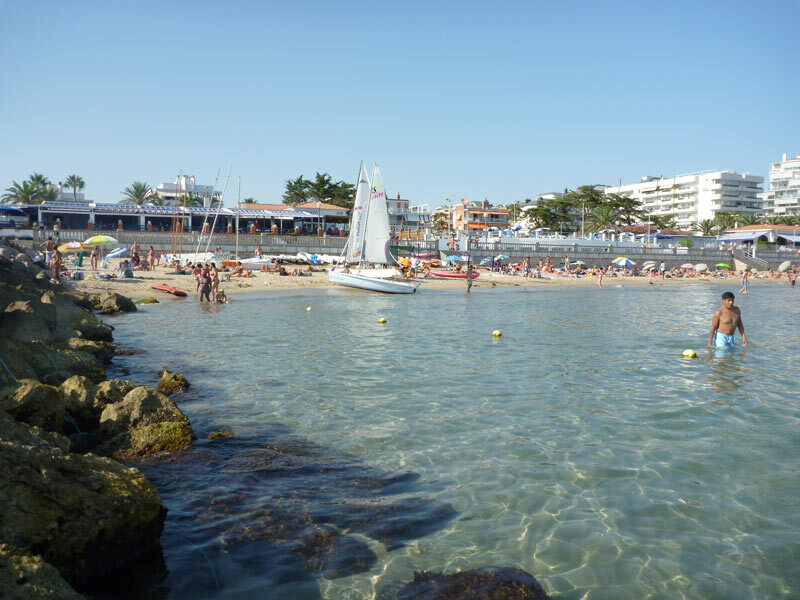 Besides being known for its beautiful setting by the Mediterranean sea, much frequented beaches and the surrounding Natural Park of del Garraf, the quaint little town of Sitges is also very popular for one annual summertime event… The “Festa Major de Sitges” which means Main Festival in Catalan. 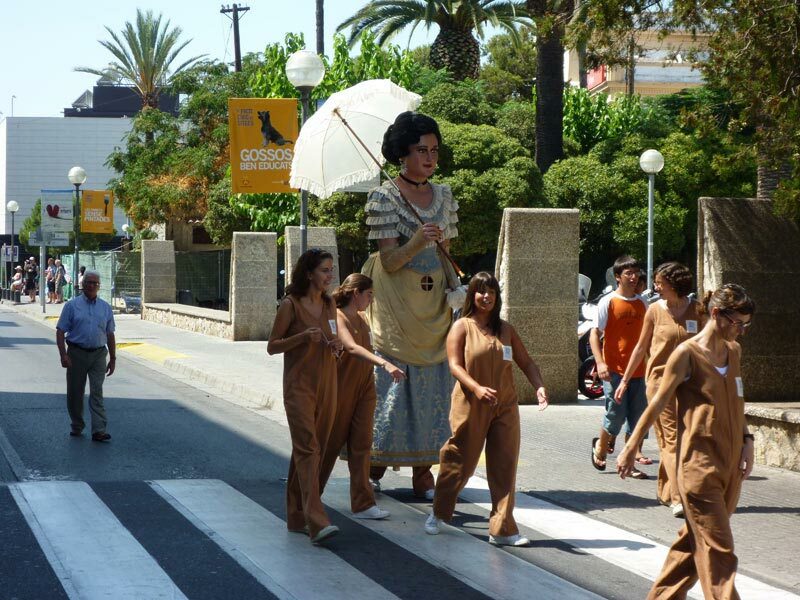 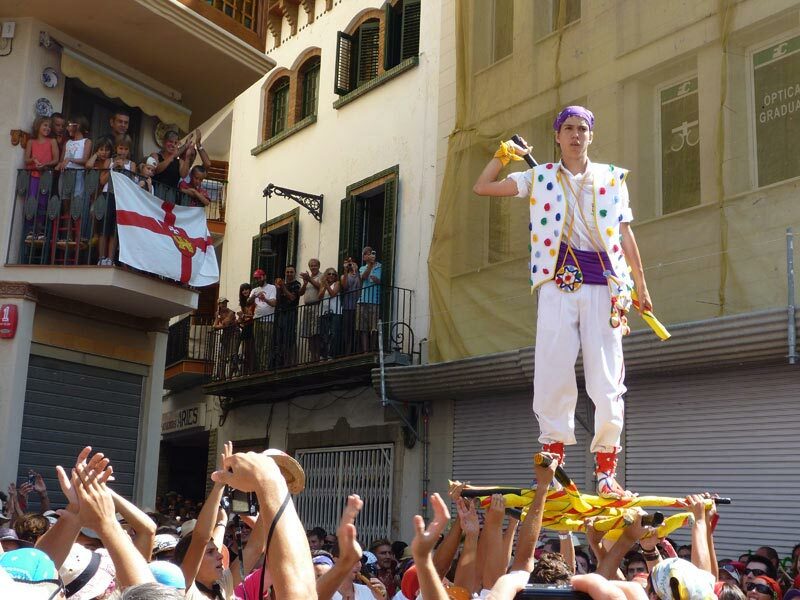 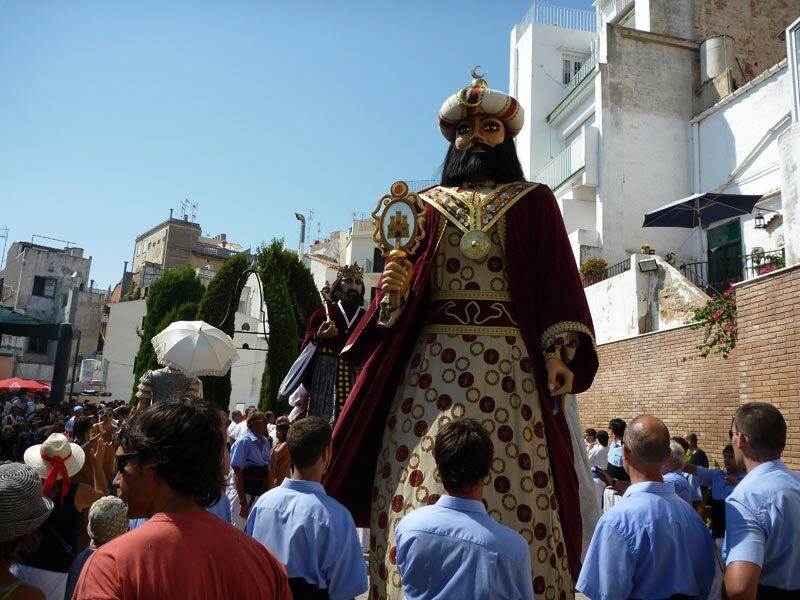 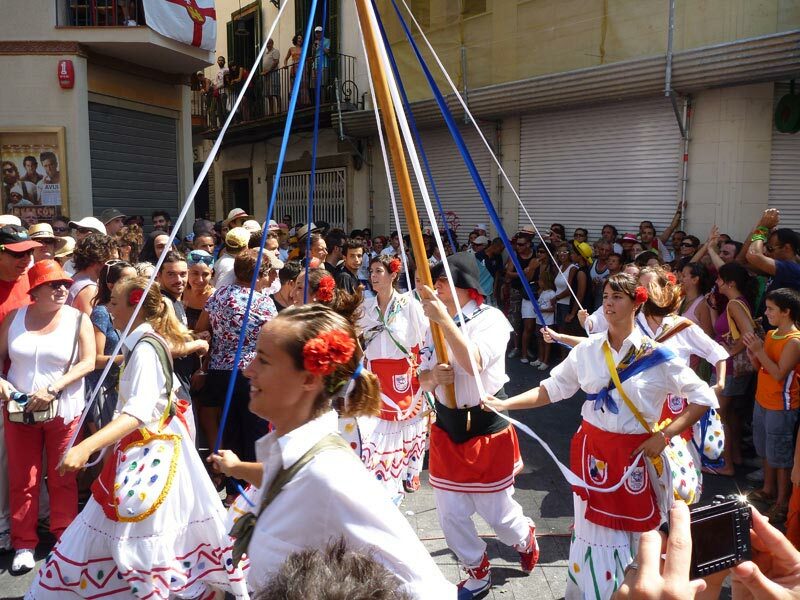 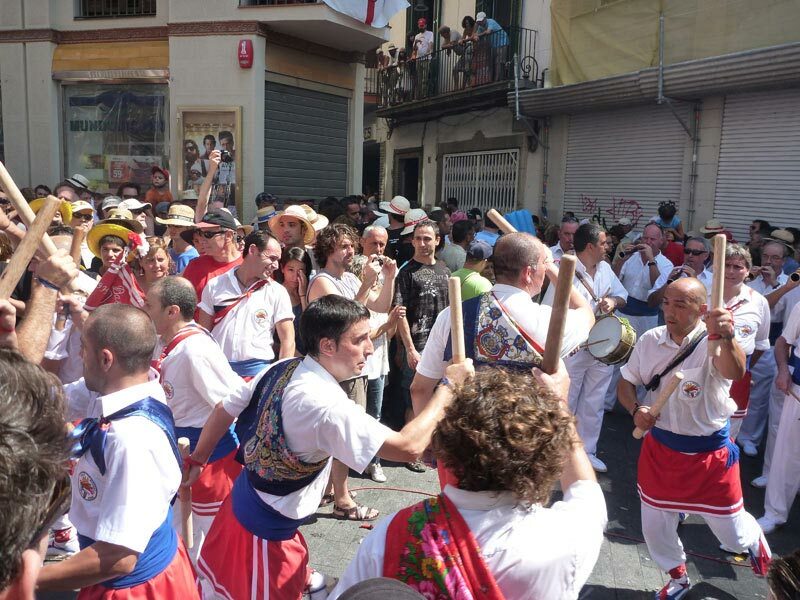 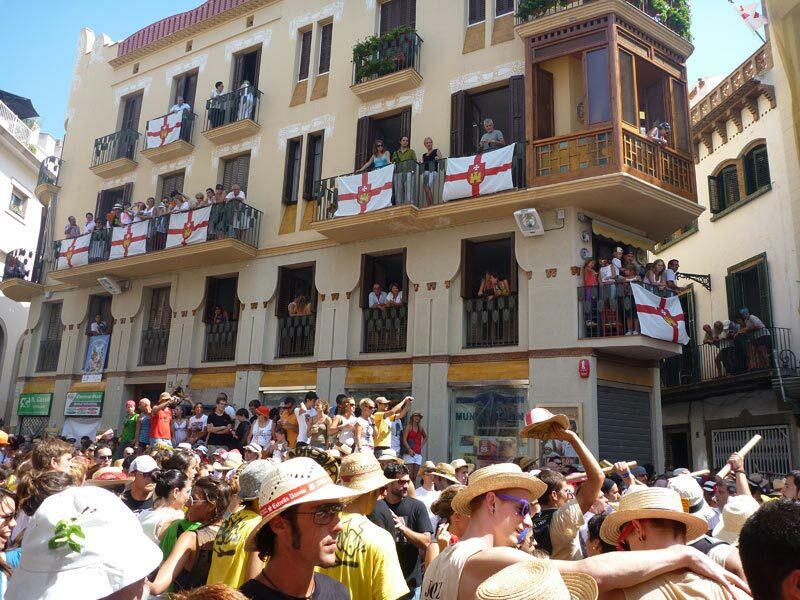 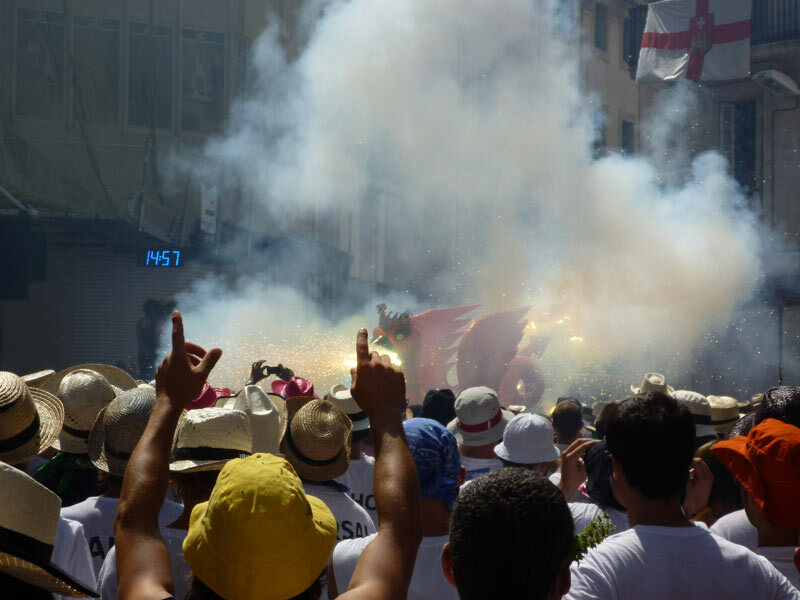 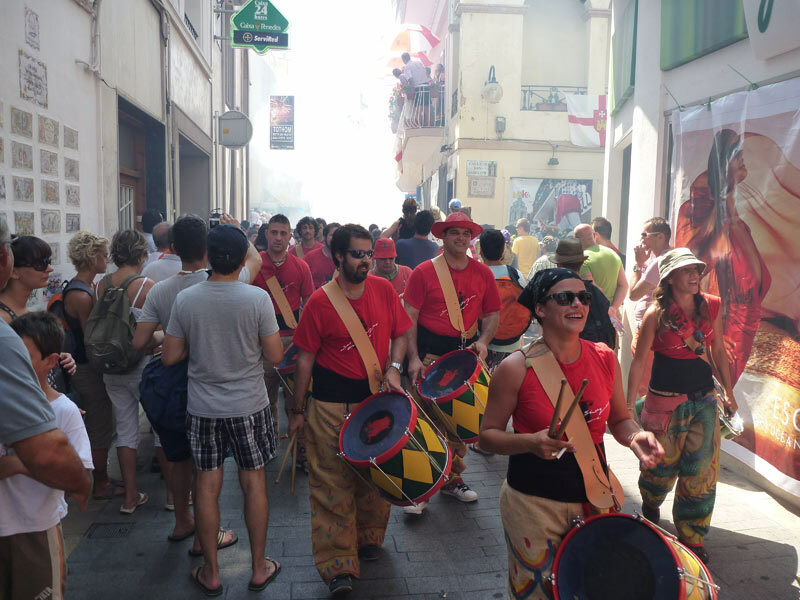 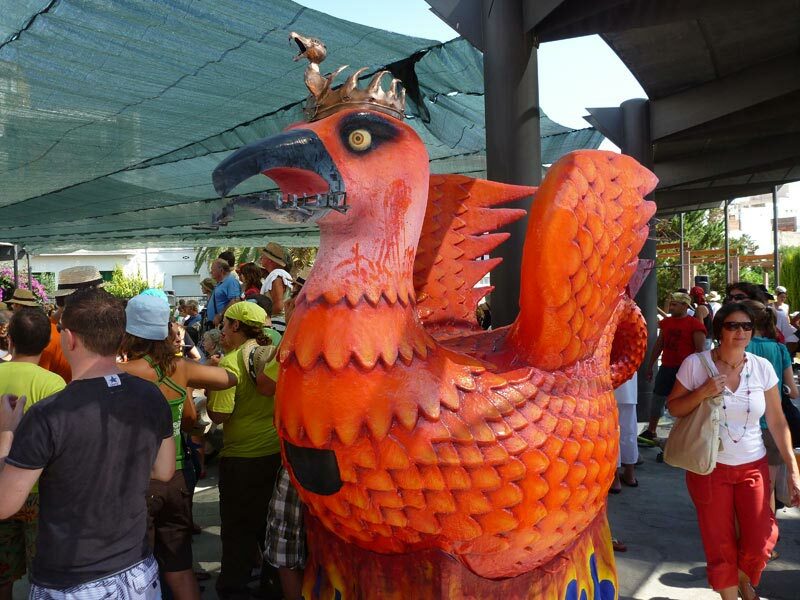 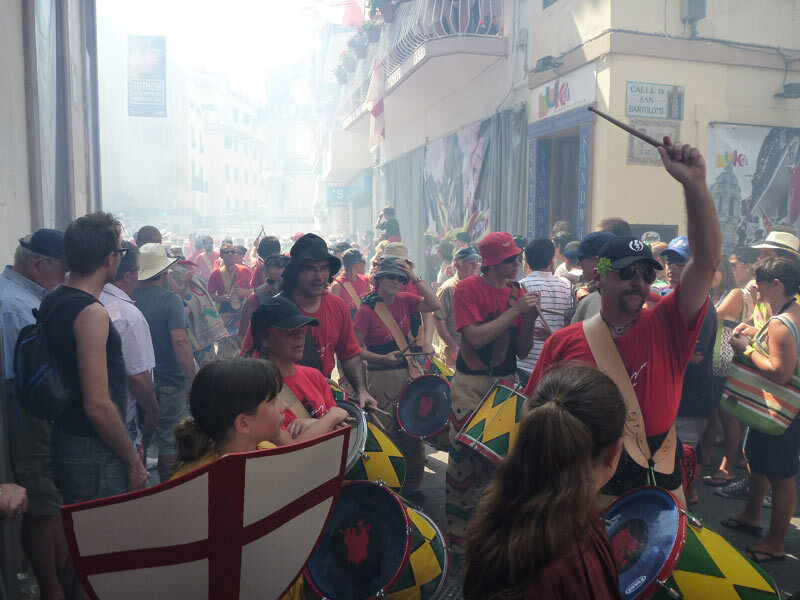 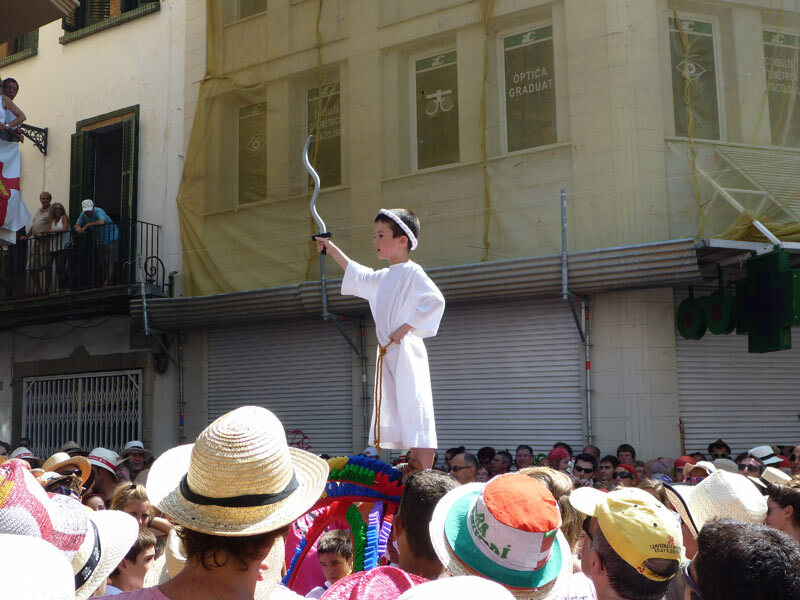 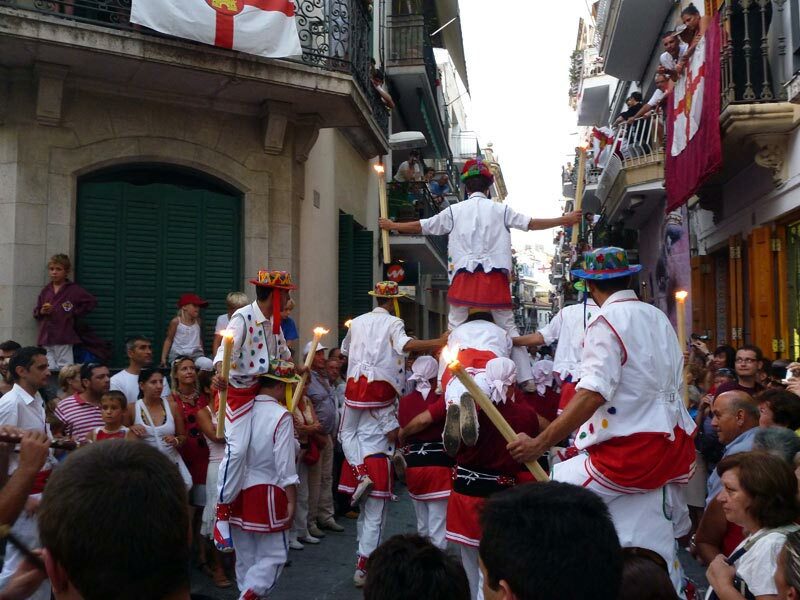 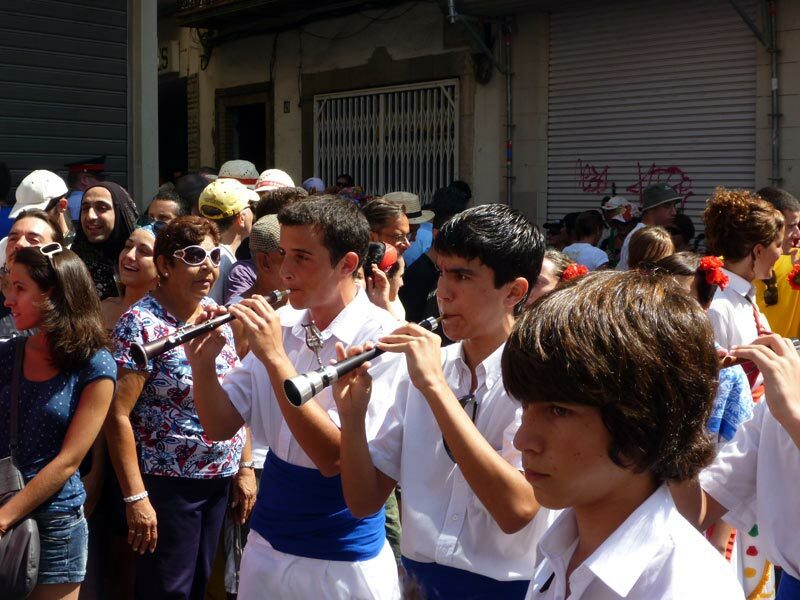 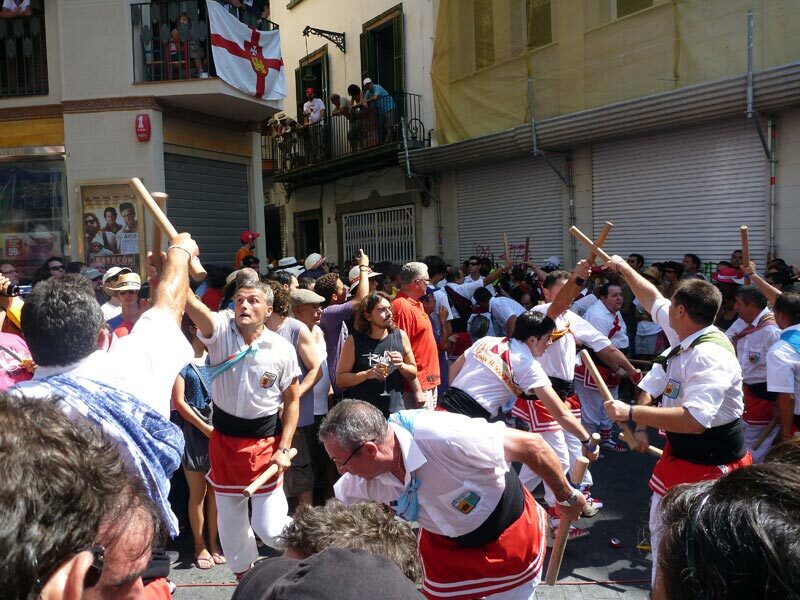 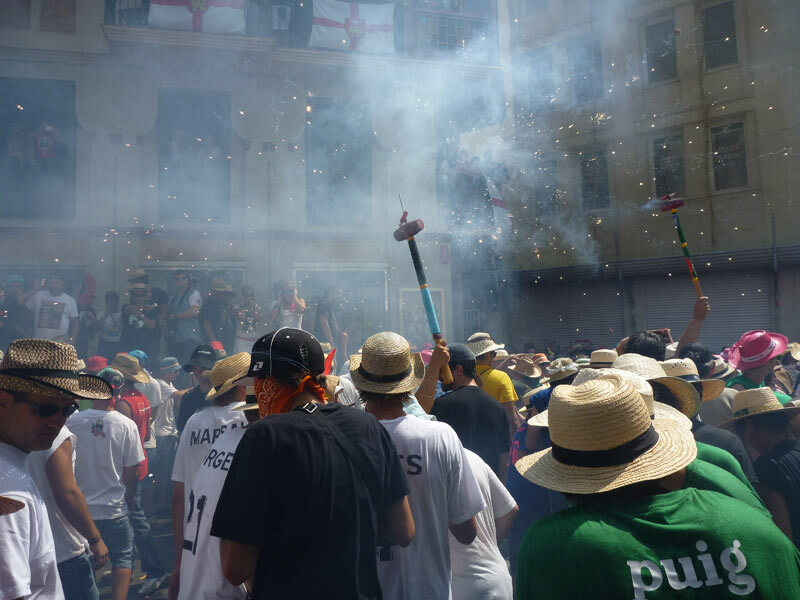 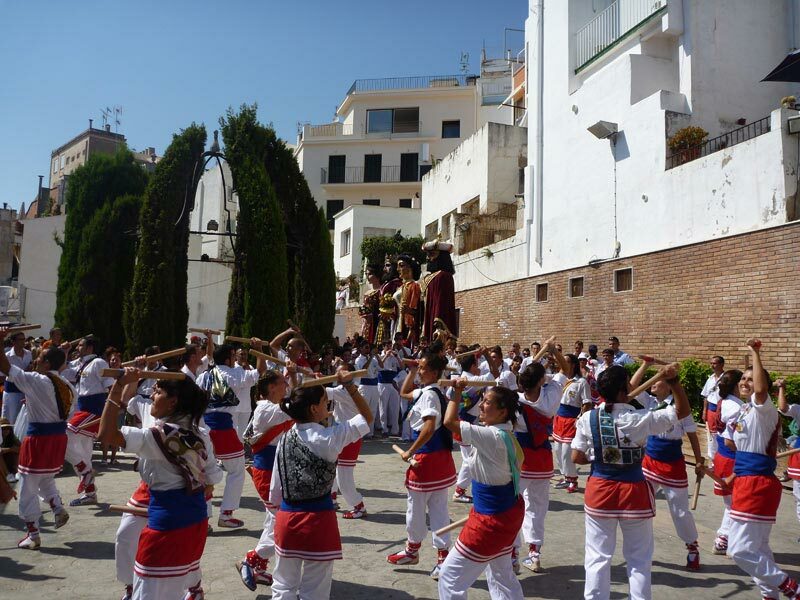 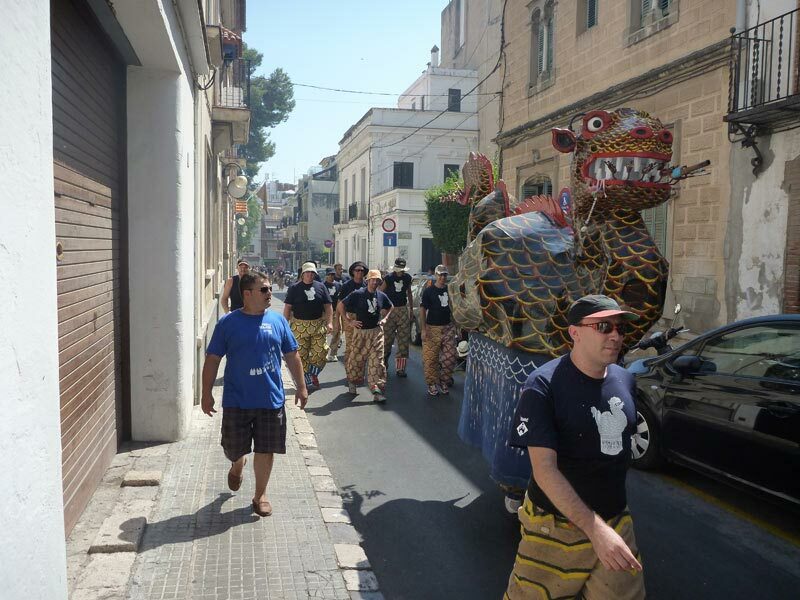 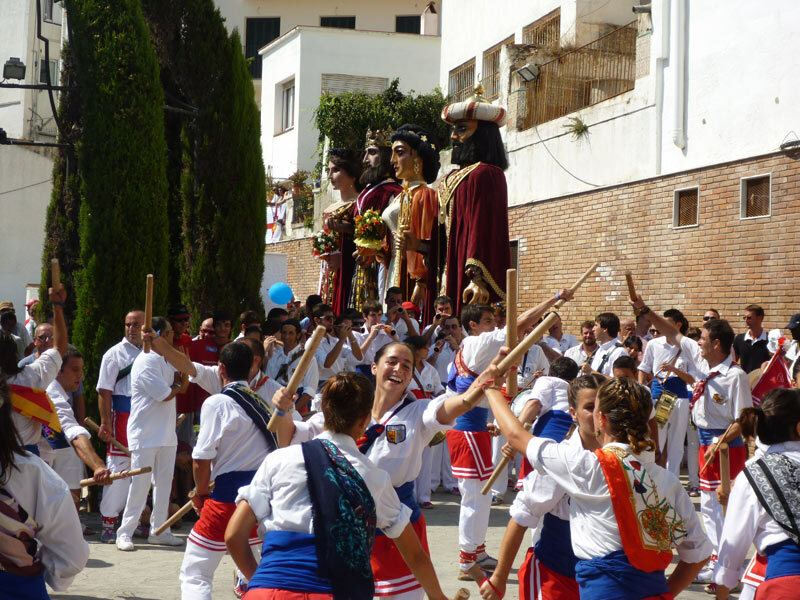 Made to honor the Town’s Patron Saint, Sant Bartomeu the event takes place for a week between the 21st and 27th of August and is one of the two biggest celebrations of the year where fans come in droves from all over the region to look or participate in the Fiesta. 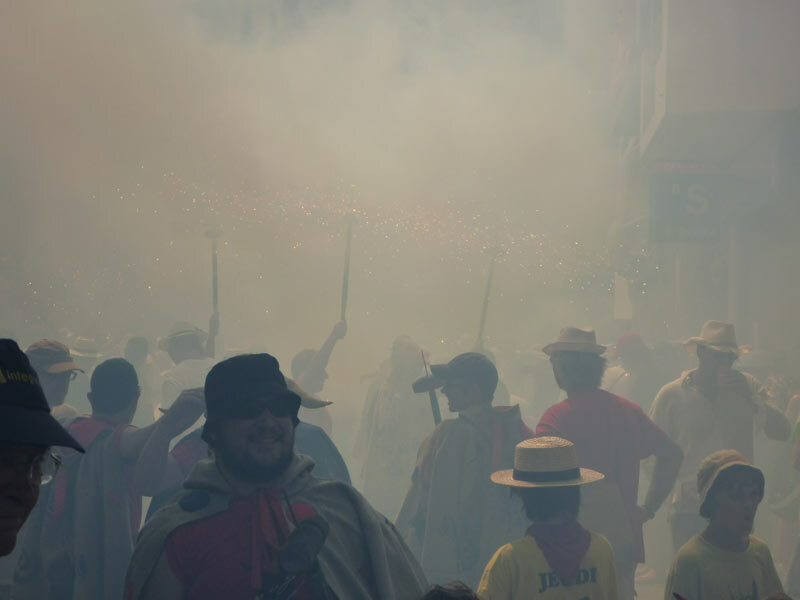 A true display of Catalan folklore can be witnessed with it’s mix colorful processions, dancers, parades and a sensational firework display make it a must see unforgettable event. 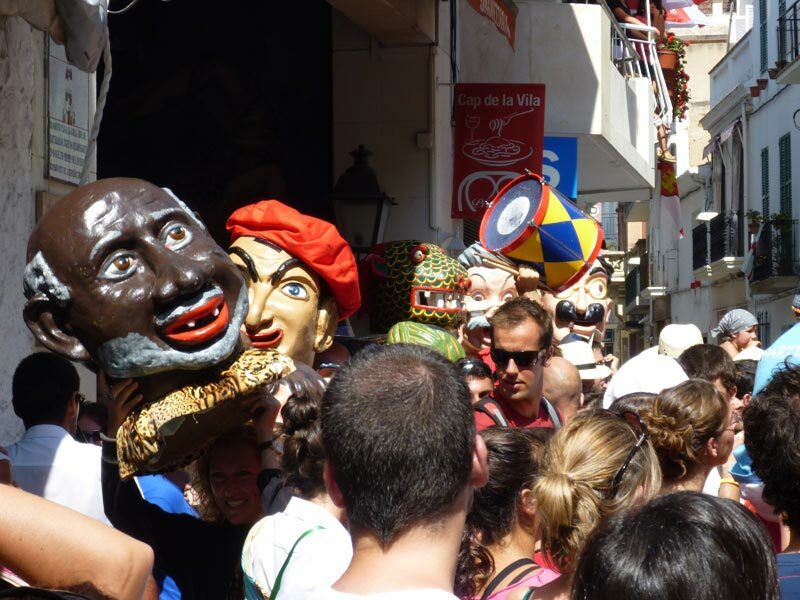 There are four Rodalies trains an hour (from 06:13 to 22:13) and the journey on line C takes just over a half an hour from Barcelona ‘s Passieg de Gràcia or Sants station. 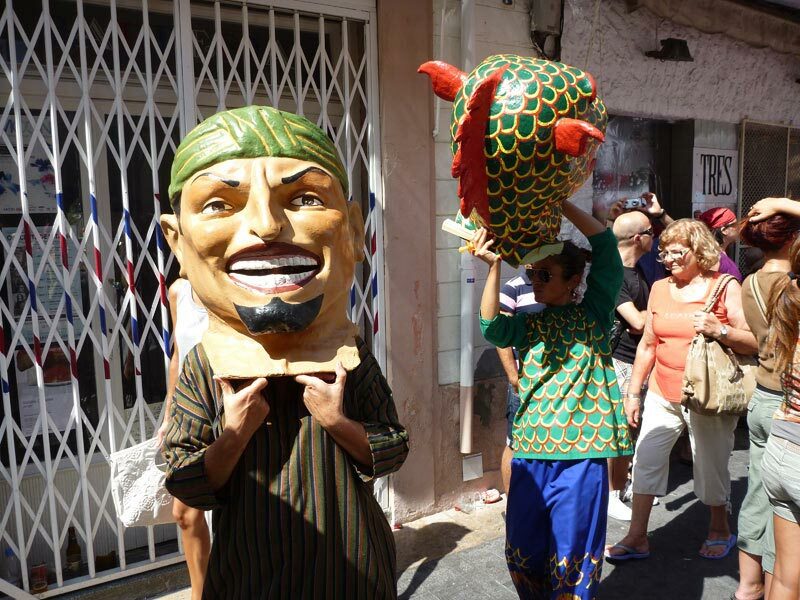 Great pictures … but the “Festa Major” giant looks like the king in “Burger King”. 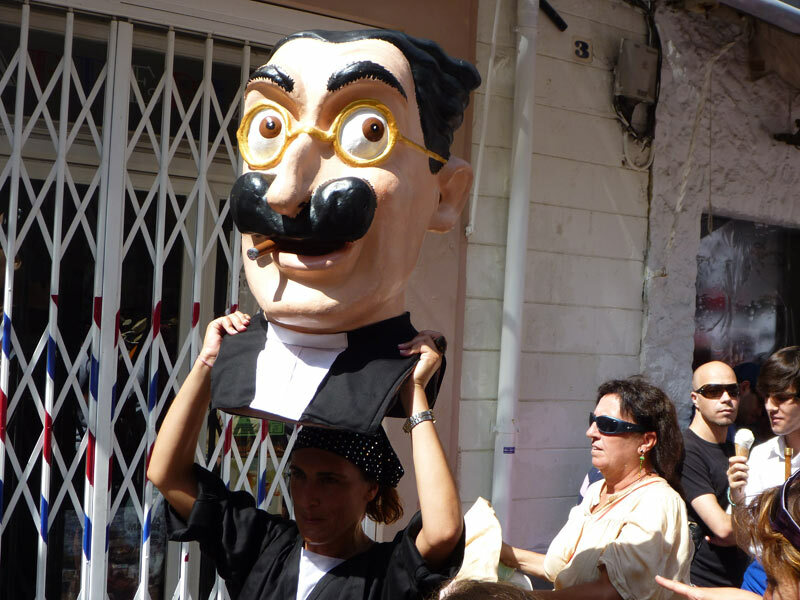 I had to look more closely to make sure he wasn’t handing out whopper coupons. Looks like a good time though … the beach appears to be a very social scene. 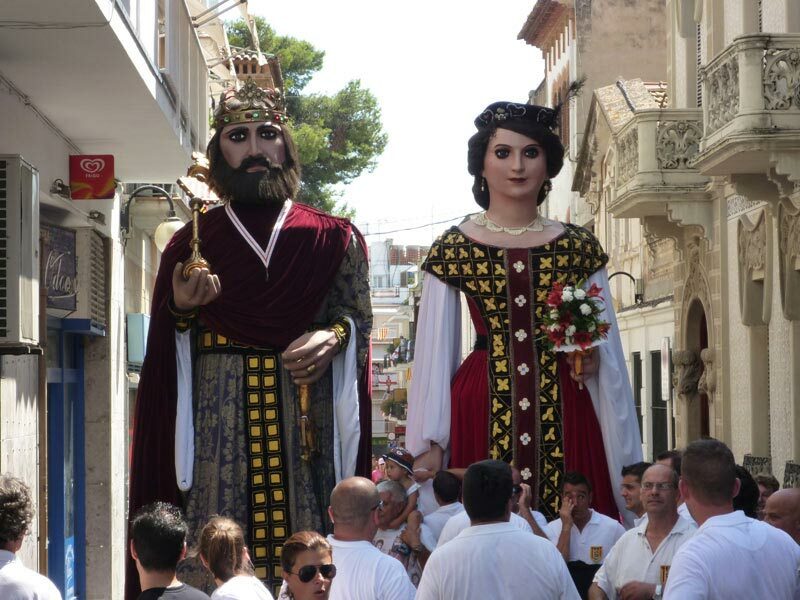 Great pictures … but the “Festa Major” giant looks like the king in “Burger King”. 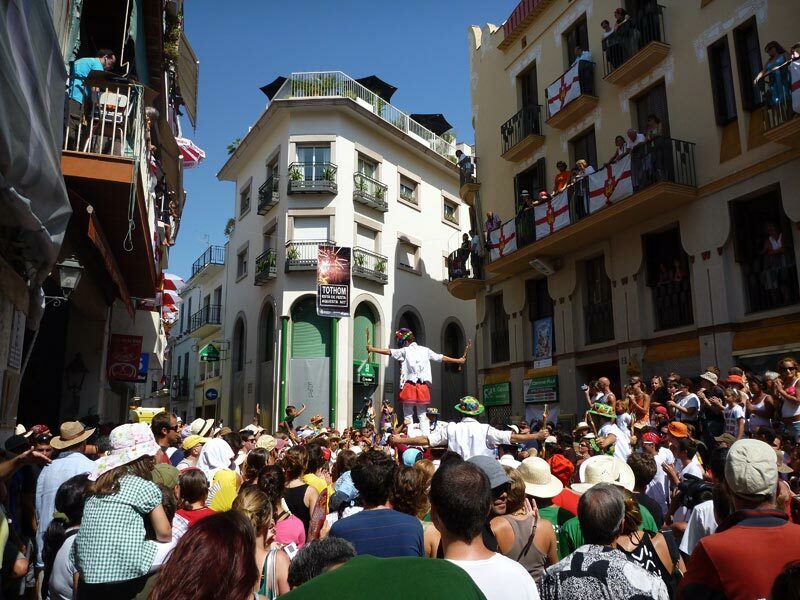 Fantastic pictures in a fantastic town!